East Central Indiana CASA believes that every child has the right to a safe, permanent home. Being in the middle of a court case is terrifying, no matter how old you are! But it’s really scary for children who are caught up in the legal system through no fault of their own. That’s where CASA (Court Appointed Special Advocates) steps in. CASA is a non-profit organization serving abused and neglected child victims in Hancock and Madison Counties. 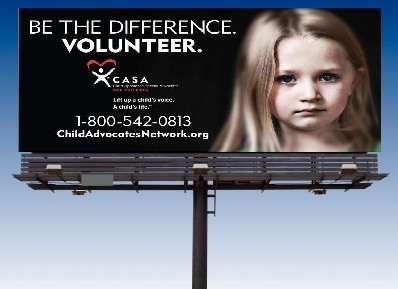 CASA works with volunteer advocates who provide hundreds of neglected, abused, and exploited children with a voice in the court, and a friend in the court process. A CASA volunteer works for the best interests of abused and neglected children by looking over a child’s case and making recommendations to the judge. CASA volunteers help children move into safe, permanent homes. These children need and deserve to have their voice heard in court.